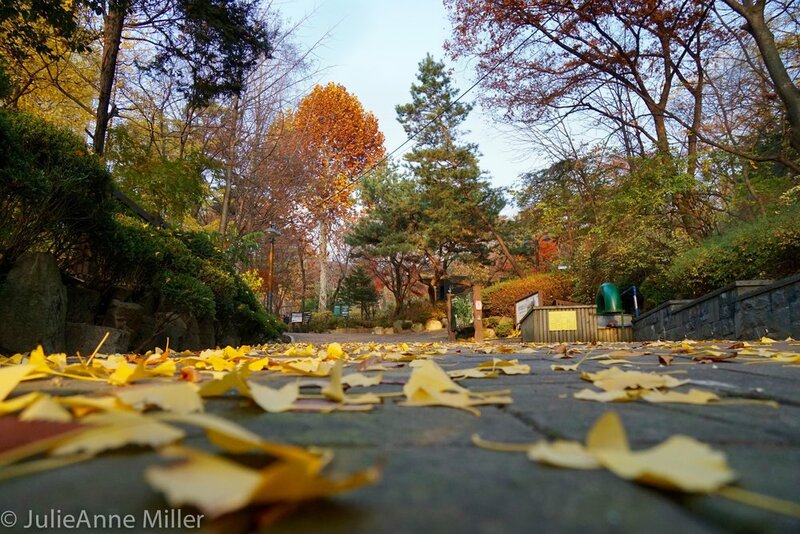 Samcheong Park (삼청공원) is a short walk from Gyeonbokgung Palace in the center of Seoul. Step inside its gates, choose any trail, and prepare to contemplate Yin / Yang and encounter your Chi. 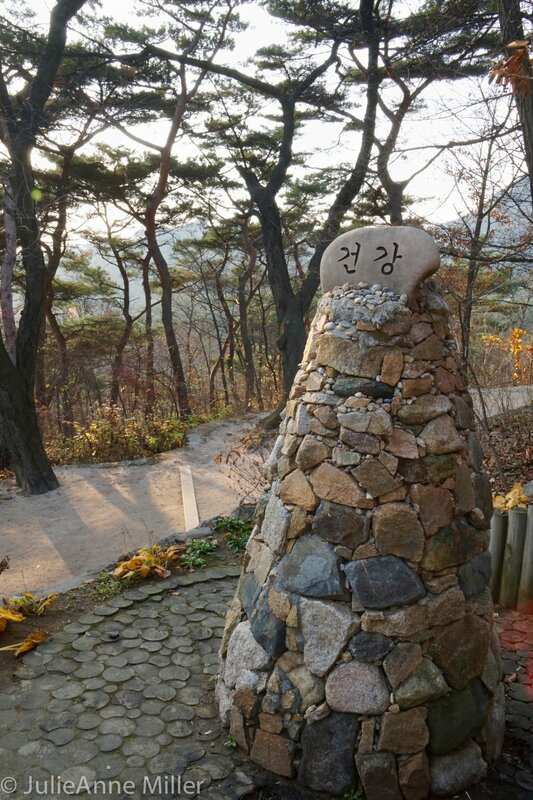 Nestled at the base of Mount Bugak, Samcheong Park was Seoul's first official park, designated as such in 1940. 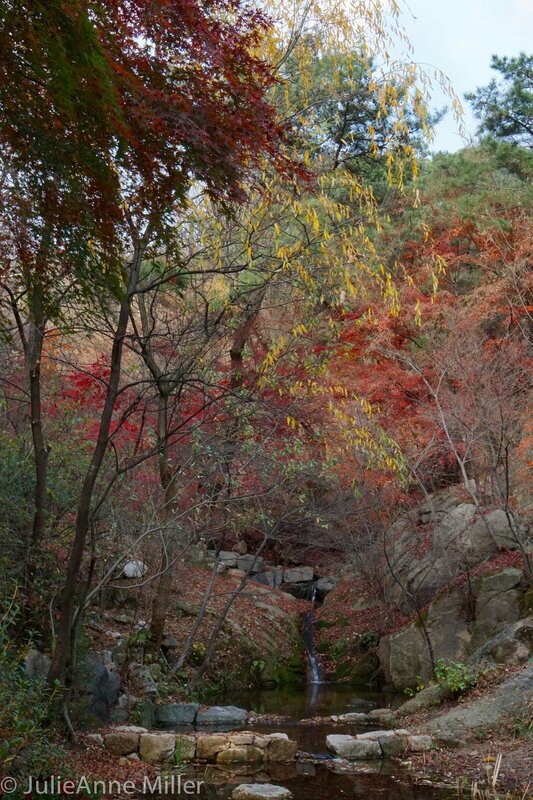 The park is popular for its cherry blossom trees in the Spring, but it's beautiful and blessedly quiet year-round. Expect waterfalls, a peek at mountain peaks, city vistas, and a natural spring to top off your water bottle. The park has a library, a learning center for children to learn about nature, and sports facilities. Take a moment to sit on a bench, close your eyes, and breath in the woody scent of nature. 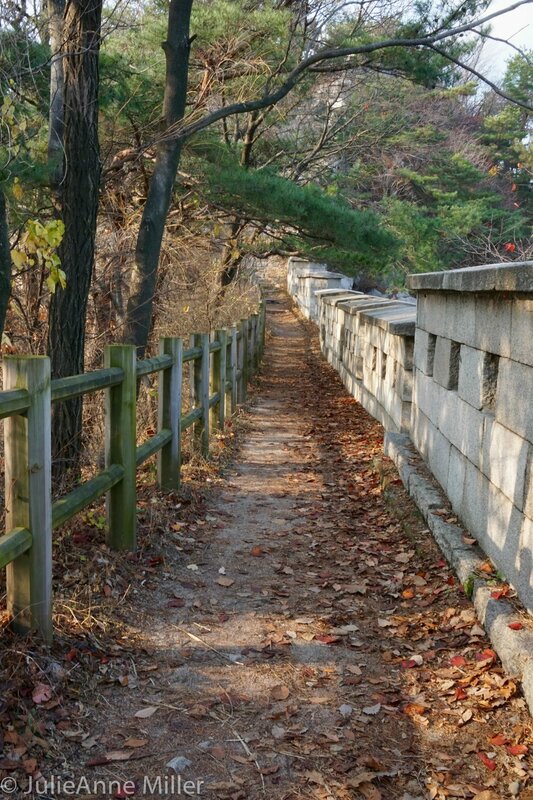 Appreciate Yin as you ascend up well-maintained trails to the city wall. 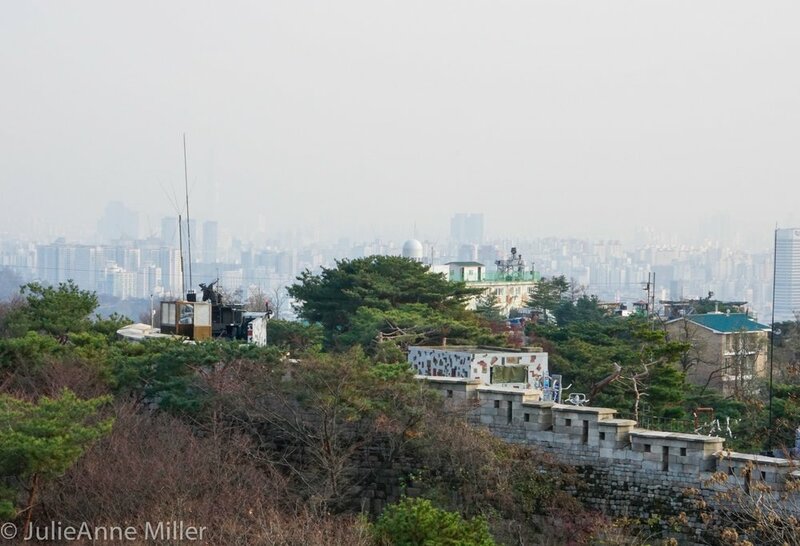 Absorb Yang from your bird's eye perch of the urban landscape. Exit the park with a renewed sense of the life-force within you, your Chi.